En route to the town of Trinidad, one of the first seven towns to be founded on the island by the Spanish, there are some wonderful natural spots, including those renowned for their unique historical value, such as the Valle de los Ingenios and the Iznaga Tower, as well as Trinidad itself. 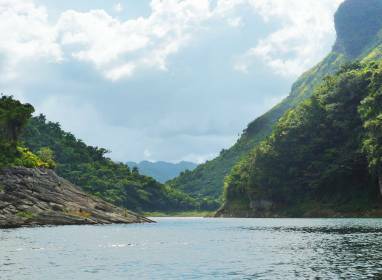 As you travel into the Escambray Mountains, you will find the large Hanabanilla reservoir, a place of outstanding natural beauty, and linked to the famous El Nicho waterfalls. 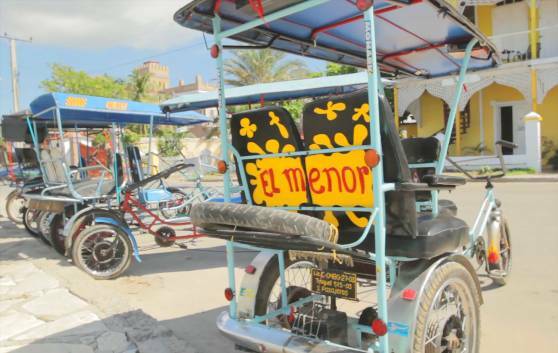 In many Cuban cities, the ‘bicitaxi’, or bike taxi, is an excellent means of transport for travelling short distances. You can watch the city go by and learn about its history directly from its people. 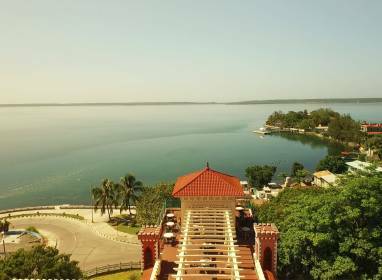 And Cienfuegos is no exception; come and join us on this special tour, perhaps starting off at the traditional Prado, travelling along the famous Malecón until you reach Punta Gorda. Much of the city’s history can be found along this route, from its traditional architecture in many different styles, to the wonderful proximity of the sea, with its cool breeze and the chance to enjoy a dip in the warm waters of the bay. 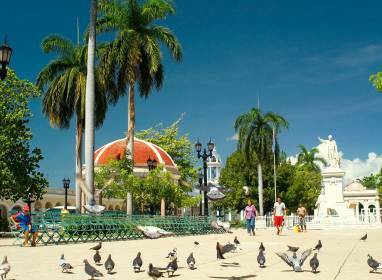 Beauty and tranquillity are essential elements of everyday life in Cienfuegos. From the terrace of the hotel La Unión you can enjoy the unrivalled views of the sunset, just as the bay displays its most beautiful hues and the city basks in the last rays of the day’s sun. This park, the only one in the country covering such a large area, takes you on a unique journey through the history of the city and its people. Small statues remember founders and prominent figures, whilst its central bandstand still hosts concerts and bands. The park is surrounded by the buildings associated with the foundation of the city: The Tomás Terry theatre, the Cathedral of Nuestra Señora de la Purísima Concepción, the Town Hall and the historic College of San Lorenzo. Visiting the Ferrer Palace is a must, offering stunning views of the city. The Terry theatre is an undisputed symbol of the city of Cienfuegos and its rich cultural life over the years. It is one of the great Cuban theatres founded in the 19th century and many of its original features have been wonderfully preserved. 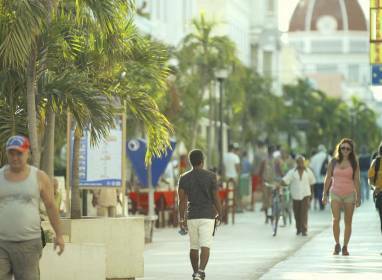 The street of Santa Isabel runs between the Parque Martí park and the Muelle Real, and has become one of the city's main arteries. 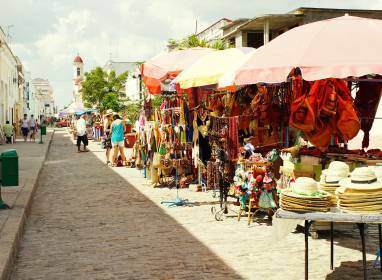 As you stroll along it, you can see local artisans at work, enjoy typical dishes and experience Cuban life in all its splendour, as the locals go about their business. The International Cruise Ship Terminal is located near the Muelle Real. The Boulevard is one of the city's main shopping streets. 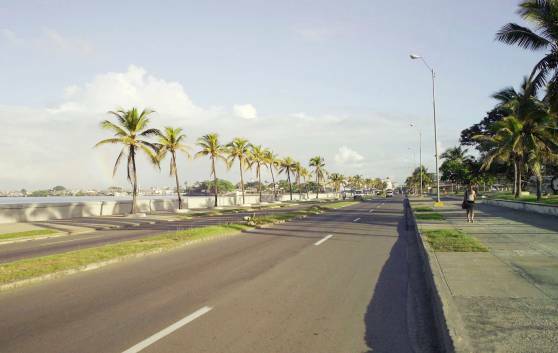 It was one of the colony's first roads and links the Parque José Martí park with the Paseo del Prado. 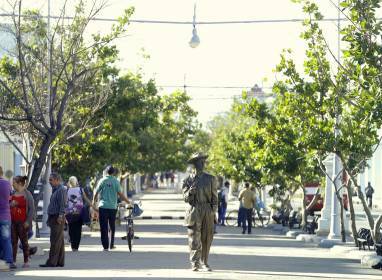 It is the ideal place for exploring the culture of Cienfuegos in each of the storage houses that were built between the 19th and 20th centuries, and which have now been converted into galleries, restaurants, shopping centres and nightspots. Known as the “Wildman of Rhythm”, Benny Moré is a true legend of the Cuban and international music of his time. 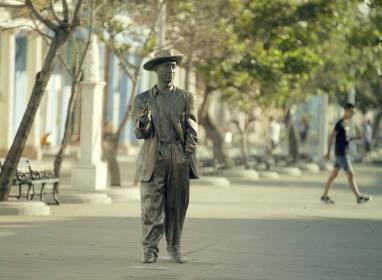 His statue on the Paseo del Prado in Cienfuegos therefore pays fitting tribute to this illustrious son of the region and of Cuba as a whole. 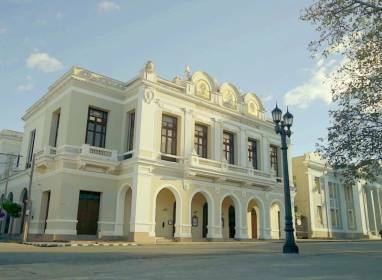 The longest in the country, the Prado in Cienfuegos connects the area of Punta Gorda with the Old Town, as well as showcasing the wealth of architecture in the city. There are gems from the Art Deco period, such as the Baptist Church, with its North American influence, as well as heritage buildings such as the Casa de los Leones (House of Lions) or the Falla Gutiérrez family home. 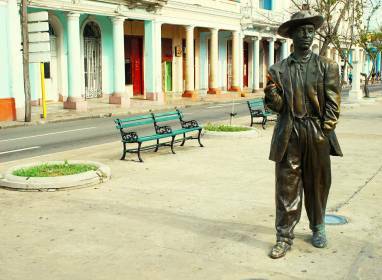 The Trianón and Luisa theatres are also worthy symbols of the city, as is the statue of the famous Cuban singer, Benny Moré. 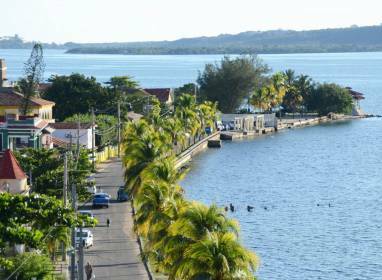 As you enter the wide bay of Cienfuegos, Punta Gorda is one of the city's most beautiful spots. The smell of the sea, the small beaches and the popular Malecón seafront make this place a must for every visitor. The villas of Casa Verde, Casa Perla and Palacio Azul, forming part of the hotel Jagua, offer a unique setting in the area beside the bay with its bars and restaurants. This small palace, built by the tycoon Acisclo del Valle, is a true rarity in the history of Cuban architecture. 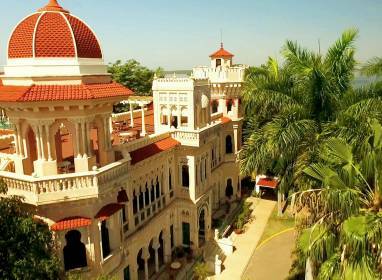 Its combination of style and cryptic details incorporated into the decoration make it a must for visitors to Cienfuegos. From its terrace you can enjoy wonderful views of the city and the bay. In the area surrounding the famous Jagua Castle, at the entrance to Cienfuegos Bay, lies the fishing community of El Perché. A visit to this area is a must for those wishing to discover the ancient traditions of the bay’s inhabitants, recognised as part of the region’s intangible heritage. The community runs numerous local initiatives for the creation, appreciation and conservation of fishing, in a location with lush coastal vegetation, including the red and black mangrove varieties, as well as providing an ideal haven for various coastal species. Small local restaurants will also introduce you to the delicious history of the local dishes, enhanced by generations of knowledge. 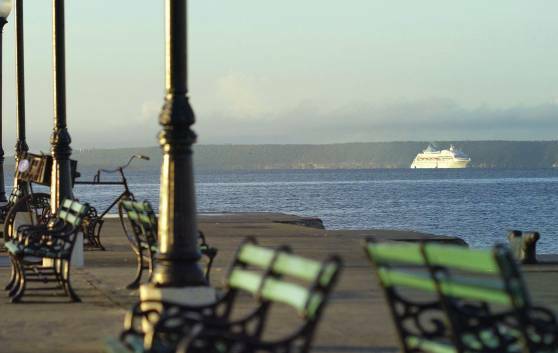 A stroll along the Malecón forms a key part of Cienfuegos nightlife. The locals tend to gather on the seafront to chat with friends and family, have a laugh or simply to enjoy the numerous bars and restaurants in the area. 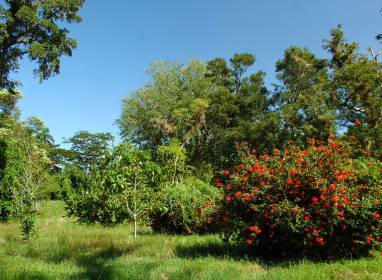 Founded at the end of the 19th century, the Botanical Gardens of Cienfuegos boast 70% of plants considered to be exotic, with one of the continent's finest collections of palm trees and over 2,000 species of outstanding botanical interest. Both cemeteries were declared National Monuments due to their particularly special features. The Reina cemetery is the only one in the country in which the burial niches are aligned vertically in walls. 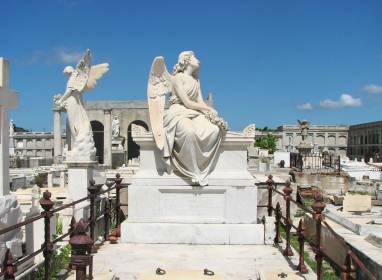 The Tomás Acea cemetery, on the other hand, founded in the early 20th century, is the only 'garden cemetery' on the island. Natural wildlife haven. Enjoy a stroll on the western side of the bay to explore a wonderful spot. It covers an area of 202 km2 and its canal connects it to the bay. It is a protected area, providing a haven for numerous species of flora and fauna, including the pink flamingo. 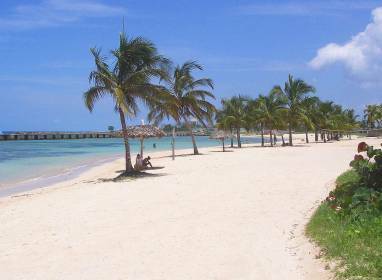 A popular destination in the south of the central region, Rancho Luna Beach invites you to take a dip in its warm waters or to savour the delicious local cuisine, based on fish and seafood. 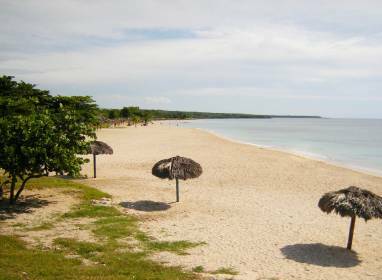 Just 30 minutes from the city of Cienfuegos, it is the perfect escape for visitors to the region. From Faro Luna you can take boat trips that include snorkelling and diving. 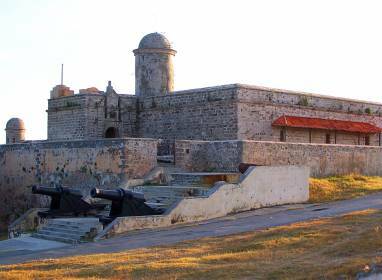 The fortress of Nuestra Señora de los Ángeles de Jagua, strategically positioned at the narrow entrance to Cienfuegos Bay, is still in excellent condition today and is a living testimony of the history of Cienfuegos. 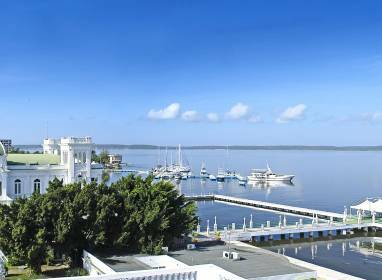 The calm waters of Cienfuegos Bay are the perfect spot for rest and relaxation. Numerous species of flora and fauna take refuge on its coasts and small beaches, which are very popular in the summer. A boat trip takes you to small inhabited keys and fishing villages along the coast, where the ancient wooden houses of French heritage and the scents of the sea will captivate the passing visitors. 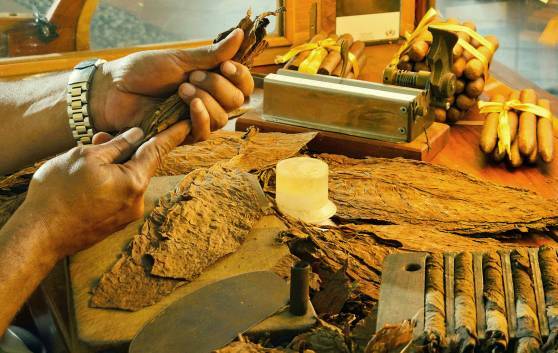 Along with the hills of Vueltabajo and Sancti Spíritus, Cienfuegos has been one of Cuba’s largest producers of tobacco leaves since the 19th century. All the hard work and dedication in the fields and the greenhouses culminates in the ‘Casas de Torcido’, or twisting houses. Visit the Cienfuegos cigar factory and see firsthand the final step in the process, when the cured leaf is turned into a cigar, and discover the peculiarities of this craft, in which the curious figure of the cigar-factory reader plays a leading role. 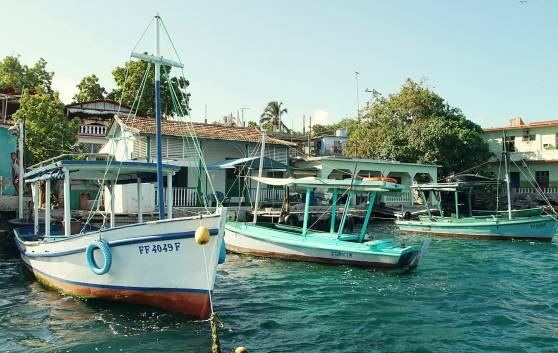 From the area surrounding Cienfuegos Port or Punta Gorda it is easy to arrange a little boat trip with the local fishermen. During your trip around the bay, not only will you gain an insight into the lives and traditions of the small coastal communities, but you can also enjoy some stunning views of the sunset. Known as the museum city of the Caribbean, Trinidad is living history. Walking through its cobbled streets, visiting its colonial houses and museums, or sitting in its parks and cafés are all ways of discovering its five centuries of tradition. Places such as the Valle de los Ingenios or the Iznaga Tower are an ideal complement to this visit full of beautiful legends associated with the cultivation of sugar cane, coffee and tobacco. 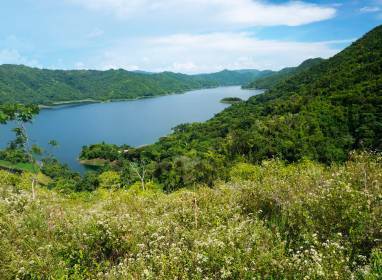 The Hanabanilla reservoir, one of the largest on the island, is a real treat for nature lovers. Situado en el macizo montañoso del Escambray, destaca por el verde intenso del paisaje que le rodea y sus tranquilas aguas. A boat trip offers you the chance to explore these wonders at leisure or to visit the famous El Nicho waterfalls. 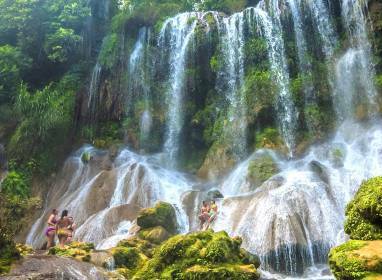 This is one of nature's wonders, dozens of waterfalls and natural pools, hidden in the mountains. One of Cuba's most beautiful spots. 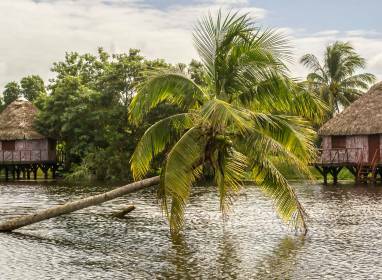 A paradise of vegetation, rivers, waterfalls and quaint rural villages. The area is popular with lovers of ecotourism, and a varied cuisine, with regional dishes, typical local products and impeccable service, can be enjoyed at the Los Helechos restaurant. 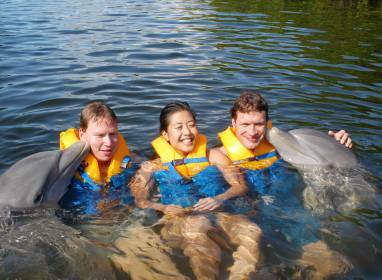 The only one of its kind in the central region of the country, the Cienfuegos Dolphinarium allows visitors to admire the skills and beauty of dolphins reared in absolutely natural conditions. Visitors can enjoy a show performed with trainers or swim with these beautiful aquatic mammals. In the mid-south of the Island, the geography of this mountain mass makes it ideal for trekking, walking and excursions, caving, cycling and horse riding, activities that bring you into contact with the local nature and culture. 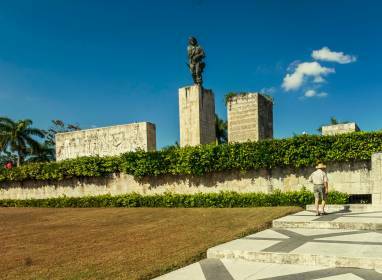 The ideal place for exploring the history and culture of Cuba's first inhabitants. 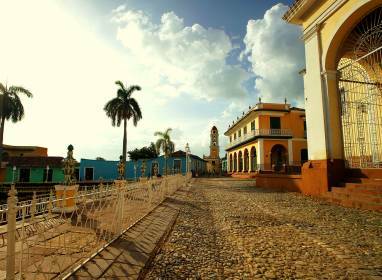 All the charms of Cuba's southern coast in a place of great historical interest. 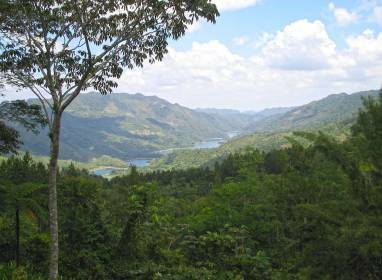 A wonderful nature spot in the Escambray Mountains. The city that pays permanent tribute to Ernesto “Che” Guevara, the Heroic Guerrilla, who led the struggle for its liberation at the end of 1958. With a wealth of historical and cultural traditions, its visitors are invited to admire the monuments and sculptures commemorating the fight for its people, as well as the artistic legacy of which it is so proud. The legacy of trova, the classic genre of music which is celebrated at the “El Mejunje” Cultural Centre. A city full of rhythm and flavour, like the best of its sons. 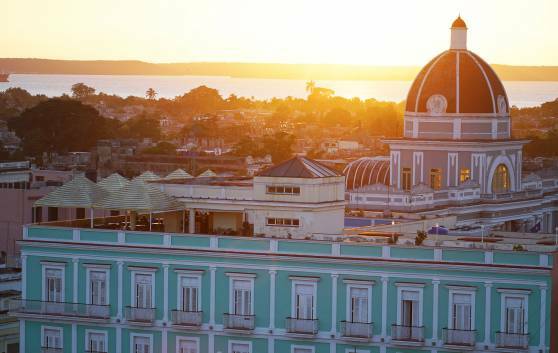 Cienfuegos is a vibrant city, full of culture. It is well known for its theatres and cinemas, with a varied calendar of music, dance and theatre performances all year round. You can also visit other venues, where you can spend a wonderful evening full of Cuban music, ranging from the most traditional to more contemporary sounds. These include the renowned “Benny Moré” Centre of Cultural Arts, the UNEAC Gardens, the “Julio Antonio Mella” Cultural Centre or the “El Benny” Club. 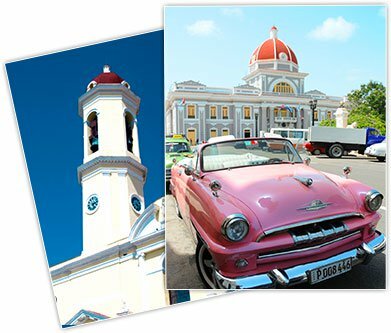 Download our guide to find out more about the hidden corners, history and legends of Cienfuegos.